When OMEGA introduced the Speedmaster in 1957, they never could have guessed that it would take off to these great heights. As far as we know from their own documentation and advertisements, it was a watch meant for those who needed to time certain activities. Sports or racing, it didn’t matter. In this article we focus on the Speedmaster 50th Anniversary Limited series that Omega introduced 50 years after the original introduction. 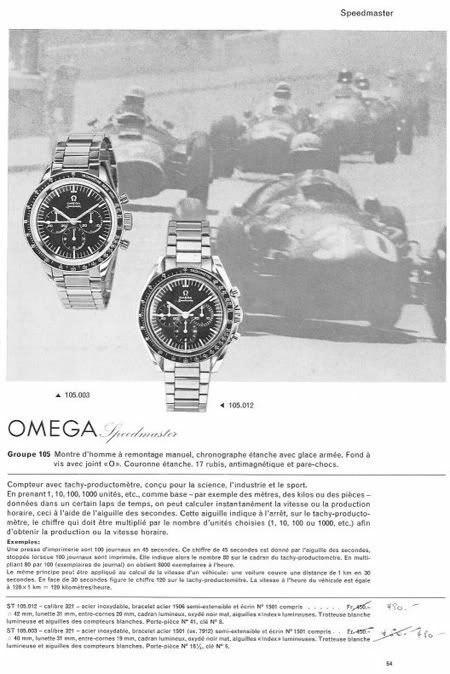 The brochure above shows a few early Speedmasters and there is no clue or hint about NASA or the Moon race. In all these years, since 1957, only small tweaks and updates were applied to the watch and it evolved to what is has been for years now. A 42mm Speedmaster Professional with caliber 1861 movement, preferably with a stainless steel caseback and Hesalite crystal (ref.3570.50). 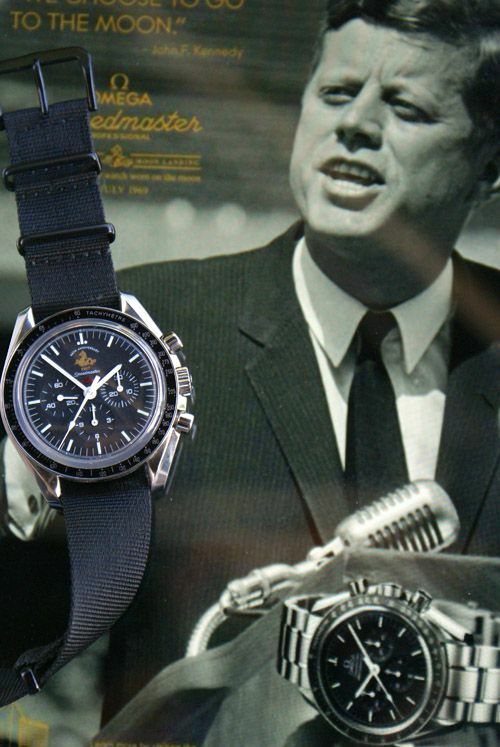 In 2007, OMEGA celebrated the 50th anniversary of the Speedmaster watch with two limited edition watches. 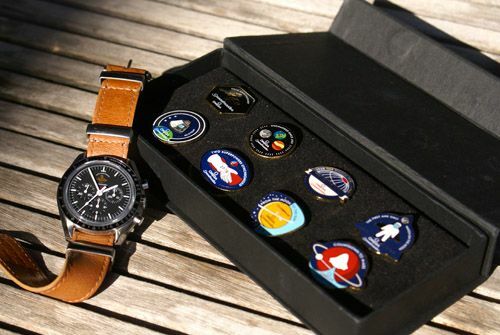 One model is quite different from the standard ‘Moonwatch’ edition, as described above. It has a Co-Axial handwound caliber 3201 movement, old style OMEGA logo printed on the dial and is limited to 1957 pieces. It came in a huge wooden box with watchmakers tools in a special compartment. 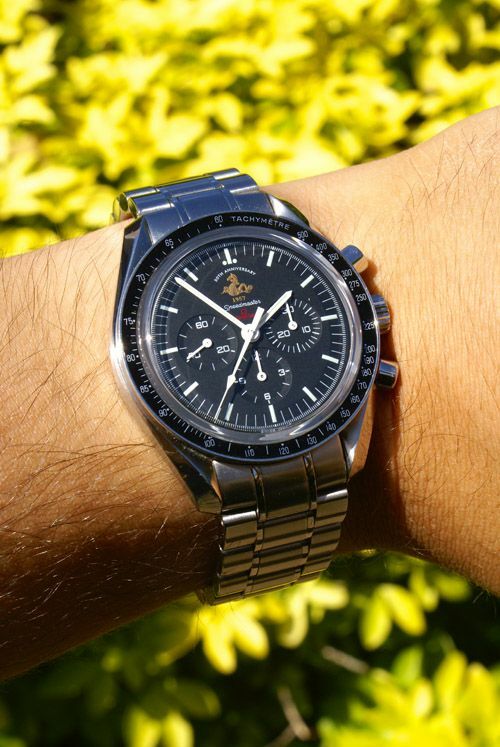 The other limited edition Speedmaster that commemorates its 50th anniversary is the one we have here on Speedy Tuesday. 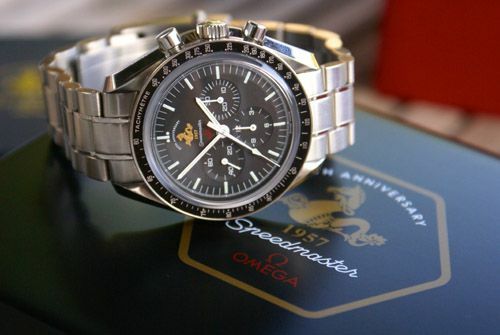 The Omega Speedmaster 50th Anniversary Limited series. It is a variation on the standard ‘Moonwatch’, but with a gold printed patch on the dial. It shows the Seahorse – Speedmaster at 12 o’clock in gold and has the OMEGA logo and wording printed in red. The Lemania based hand wound chronograph movement caliber 1861 ticks inside this Omega Speedmaster 50th Anniversary Limited seires. It is a wonderful workhorse movement that has been used by OMEGA since 1968. Only a small change was applied in 1997, when the movement was reconstructed a bit and an extra jewel was added. This movement has a nylon (‘Delrin’) part in it, to prevent it from wearing out. In the earlier versions, this was a metal part. In the nicely finished versions of this movement, caliber 863, 1863 and 1866 this part is also made out of a metal instead of nylon. More on this subject can be found in this excellent article from our late friend Chuck Maddox (read RJ’s interview with him here – a must read for every collector). Limited to 5957 pieces, this Speedmaster 50th Anniversary Limited series (ref. 311.30.42.30.01.001) came with some special packaging items like a special Speedmaster 50th Anniversary certificate and a Speedmaster 1957 booklet. Also, OMEGA had a gift box filled with 8 pins.